It was Sunday morning (the 30th) and my family of four was ready to do some touristy stuff! Alex and I utilized our favorite baby item - the carriers - and slung the tots on our back to make the journey from the West Brompton tube station to the Westminster one. 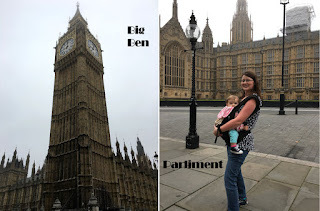 When we walked out of the station exit, the one and only Big Ben was directly across the street with the palace of Westminster adjacent to it. It was a really foggy day, so the tops of most of the buildings were hidden but in a way I kind of liked that. I mean, it was London. You expect fog. Photographs don't do Big Ben justice. The bell and its tower and clock are massive and really loom over that part of the city. 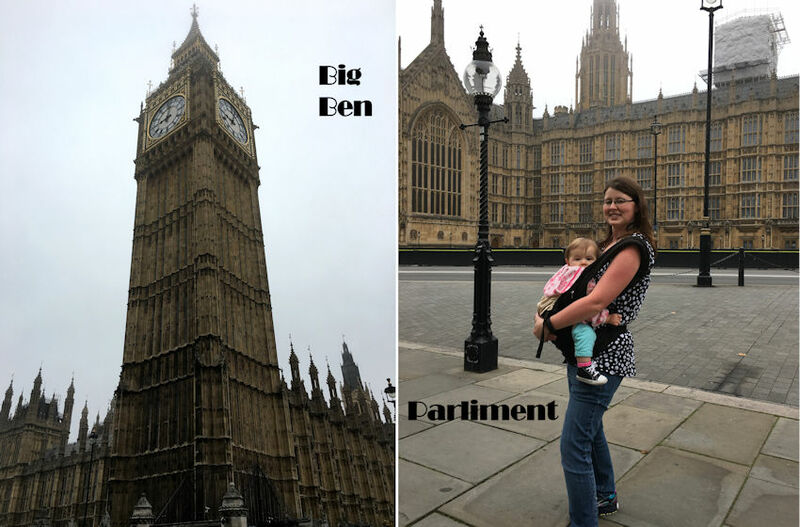 It was so tall that my neck began hurting while I looked up at it, and it felt like the streets and buildings were erected around Ben. Seeing it in person, I could understand why it was one of London's icons. 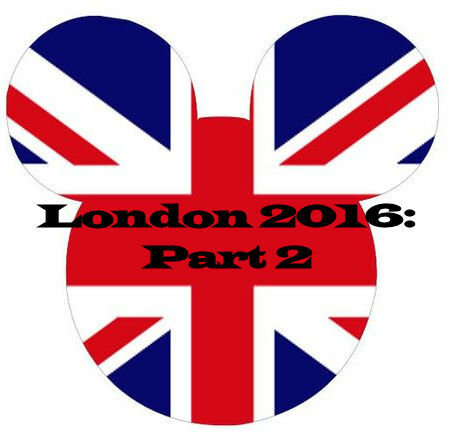 To me, it really summed up how I imagined London to be. Modern blended with the historical, classic and clean, a powerhouse of sight and sound, easily recognizable and respected. 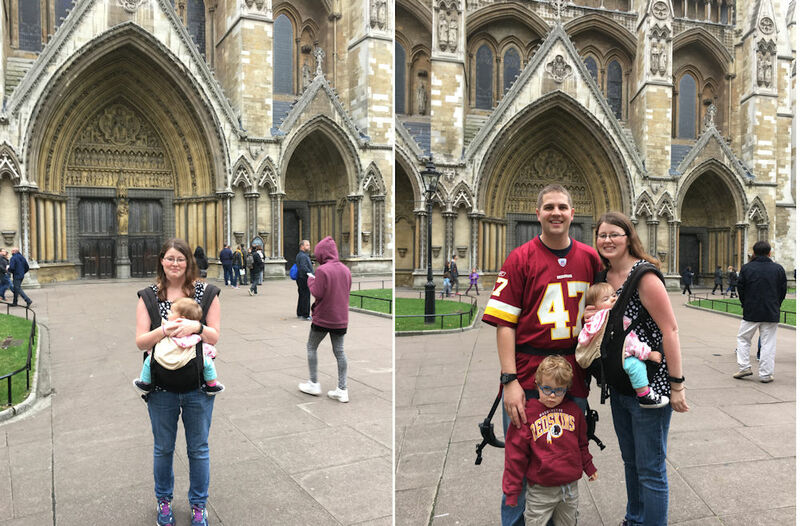 And if seeing that amazing feature wasn't great enough, we were able to go about a block north and see the outside of Westminster Abbey. Since it was a Sunday the abbey was only opened for worshipers, and besides I doubted the kids would have cooperated enough to sit through a tour. 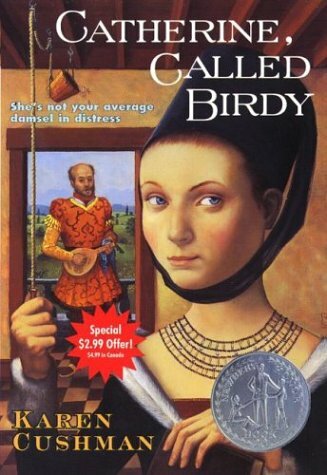 It was set in England in the 13th century, and I fell in love with everything about it. The clothing description, the setting, the unbeknownst- to- me message of feminism, and it started a lifelong love affair of English history. From that moment on, I consumed as much as I could of the great monarchies, the wars, and the timeless people that came out of the country. When I was in 9th grade, I chose to do my book reports on Charles Dickens, because I read Great Expectations. The summer before 10th grade, I read Tess of the d'Urbervilles and oh my gosh, Thomas Hardy was a genius! He quickly became my favorite author of all time, and I actually have yet to finish Far from the Madding Crowd because it's the last piece of work I have of his to read. In 11th grade, I was one of the few people who wasn't crazy about Pride and Prejudice but then I read Sense and Sensibility and realized what all the fuss over Jane Austen was about. And from about the time I was 16 to present day, I have gobbled up every single thing I can about Tudor history. Philippa Gregory is great for fictional work, but Alison Weir is fantastic when it comes to her nonfiction pieces. Her War of the Roses collection (albeit pre-Tudor) still sits on my bookshelf. Out of everything, my favorite historical story/person is Katherine of Aragon. Well, technically, she was Spanish, she was so gosh darn amazing it was hard not to admire her during my English history discovery. It felt like a dream, standing outside such a scared place. Charles Darwin, Isaac Newton, Henry the VII, both Queens Mary and Elizabeth, Thomas Hardy (sans his heart)...they all were in there. While not flattering, you can see in the photo on the left how choked up I was to be there. It was slightly emotional for me, because I was able to tune out the sounds of other people and the motor traffic, and I could just see it all. Henry the VII walking with his processional to gain the throne that he fought so hard to get. Solidifying the Tudor rose as an immortal symbol. Years later, his first granddaughter making that same journey, probably thinking to herself the whole time how she was going to make her mother proud and right her father's wrongs. I wanted to go inside so bad. But I guess it was for the best, because now I have an excuse to drag Alex back while we still live in Europe. Since we had done something Mom had wanted to do, it was only fair to do something the kids would enjoy. A few weeks back, when Alex and I were showing guide books to Landon, he discovered the London Eye and fixated on the thing. It was all he could talk about, and he would have been devastated had we not done it. So despite it being incredibly foggy and costing us over 100 dollars, we walked over to the Eye and rode it. The rotation lasted around about 30 minutes, and there was about fifteen people in our compartment with us. One of them had a little boy that Landon and Evie spent the whole time playing around with. The boy couldn't stop talking about the ride and what did he do when we finally on it? You know, the thing he could have done at a park. For free. Ah well. Regardless, he seemed to have a blast because he begged to go on it again and told everybody he could how he "rode the London Eye!" Even now, he remembers the excursion. I just wish we had gotten a better view. If we ever do it again, I want to go on it around dusk/nighttime to see all the lights and the boats on the water. After the Eye, we walked along the South Bank (nothing like seeing the Thames as you strolled along) and went to brunch at a restaurant that was recommended to us. It was called Giraffe, so you know I was excited. They actually gave plastic giraffes to the kids, which I surreptitiously stole. Had to add it my collection! Fits in perfectly next to my giraffe salt/pepper shakers and my Jordan giraffe. I got a delicious mocha drink and Landon got some blueberry pancakes. Alex wanted something more filling so he got steak and eggs. He said the steak was a little tough, but overall wasn't bad. I ordered a pulled brisket dish with potatoes and veggies. I'm a sucker for anything peppers and onions, so when I saw this on the menu I was excited. And as luck would have it, it was delicious! I scarfed it down before Landon had finished playing with his fruit marmalade. By the time we finished our meal, it was about 12:30 in the afternoon and time for my family to split up. Alex and I each had our separate goals for the afternoon, which meant we were going solo for a bit.